PlayerUnknown’s Battlegrounds is a unique and viral game title which became so popular on PC that it broke records set by Counter Strike Global Offensive. Beating CS GO on Steam is no easy task which is why the title is now coming exclusive to the Xbox One console. Being a PC gamer requires the best reflex and the ability to multi-task because you will be controlling a whole lot of actions at once when playing a title like PUBG. Be it running away from 99 other players who are trying to kill you instantly, you should also crouch, lean around a corner to spot an enemy, reload and aim using the sight to take down the enemy in a single shot. Without questions, the controls are extremely complex for a controller even though the Xbox One controller is one of the best designed product. The developers of the game announced that the title is about to get launched on the console on December 12th which is just a day to go. An official day one guide has been published by the team. 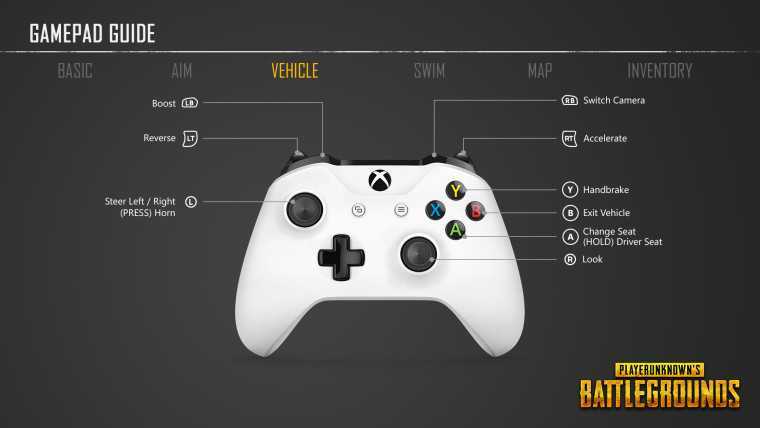 They have listed multiple images on how controls work when on foot, on a vehicle, when swimming and so on. 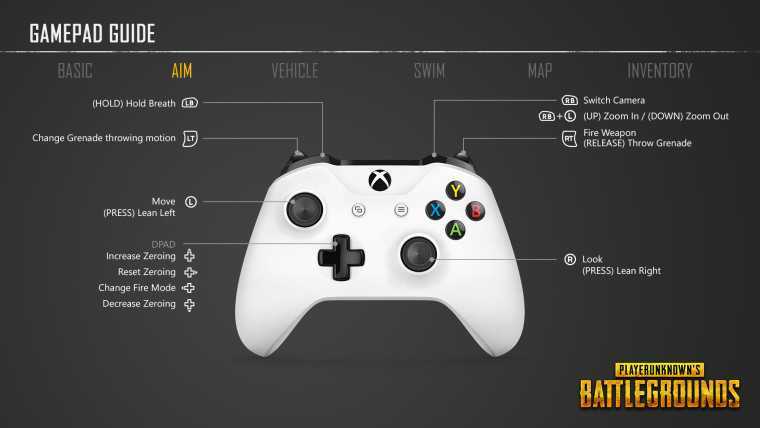 The team which developed and deployed PUBG on Xbox One console seems to have developed a surprisingly well controller layout which is evident from the buttons they have assigned for different actions. Instead of using different buttons, the same button will do a completely different action based on what you are doing. For example, when you are driving a vehicle the entire controller will be optimized in such a way that when you press Y it will initiate the handbrake, long pressing A will switch driver seat, RT is to accelerate and so on. When you press B, you will exit the vehicle to continue on foot and everything seamlessly gels with the setup. When a player is walking or rushing through an objective, they use the common controls as found in almost every console game where you can see the character through a back view camera. However, the controls change once again whenever players go into aim mode. The D-pad up and down buttons are used to zero in or out, while pressing LB will help you hold the breath for long. Everything may sound complicated for now but once PlayerUnknown’s Battlegrounds get released, players will get used to it after a couple of multiplayer matches.